In the midst of yet another contentious campaign season, our country’s state attorneys general have found something to agree on. Republicans and Democrats alike, all 50 state AGs, have agreed to investigate the latest foreclosure scandals that are rocking the housing industry and homeowners nationwide. It seems the same lenders that got us into the subprime mortgage mess used the same attention to detail — or lack thereof — in their foreclosure processes. Robo-signers at Bank of America, JP Morgan Chase and other banks approved thousands of foreclosures each month without real review, denying homeowners the right to a fair and thorough process. After the problem came to light, some, including Bank of America and GMAC, put a freeze on foreclosures. But now, after reviewing a few hundred out of 120,000 pending foreclosures, Bank of America, along with GMAC, has lifted its freeze. Am I the only one not reassured by such a “thorough” review? Many families facing foreclosure today are in this mess because of unscrupulous practices. Since 2005, I have criticized the subprime mortgage industry for targeting African Americans and Hispanics with deceptive mortgages that increased their profits, but left thousands of homeowners holding the bag. Just this week, FDIC Chair Sheila Bair acknowledged that both the federal government and the financial industry failed to question how banks were proceeding with foreclosures without violating certain standards. Yet when the financial crisis first hit, homeowners took a backseat while the government bailed out the banking industry, AIG, GM and Chrysler, and now, the same people who encouraged the mess we’re in are back looking for another easy way out. No family should be thrown out of its home until the system is fixed. Now is the time for the Obama administration to stand up for homeowners and institute a moratorium on foreclosures. The administration has been reluctant to impose a moratorium because it says it would further hurt the housing industry; but isn’t it worse to simply sweep this problem under the rug? At a recent housing conference, Federal Reserve Chair Ben Bernanke announced that regulators are looking at how the latest foreclosure problems might affect the real estate market. Surely they will find that the housing industry would be better helped by addressing the problem at hand and restoring confidence in the economy. Truly helping the housing industry means doing right by homeowners, both by protecting those caught up in the foreclosure mess, and also by ensuring that opportunities remain for people who can afford to buy a home. For generations, the government has provided federal incentives to help families fulfill the dream of homeownership. But now, some critics are using the mortgage meltdown to question homeownership’s place in the American Dream, and whether the federal government should provide incentives to encourage it. This is a false argument that is nothing more than a tactic being used to divert attention away from the real problem and to support conservatives’ agenda to reduce, or eliminate, historic support for homeowners. Removing this support will effectively close the door on the next generation of homeowners, especially for many African Americans and Hispanics who are working to become the first homeowners in their families. 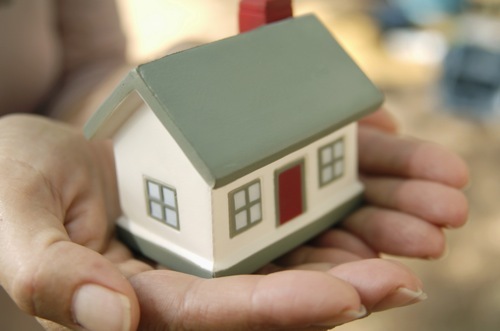 Despite the economic downturn, homeownership today still represents a family’s primary means of financial advancement. In addition to the tax benefits owning a home provides, a home is also a protection against inflation and most importantly, a form of forced savings. Equally important — and often overlooked — are the societal benefits of homeownership. Owning a home naturally promotes stability, and studies have proven that homeowners are more likely to be involved in their community and more active in deterring crime than renters because they have stake in maintaining a healthy neighborhood. According to a study by the New York Federal Reserve Bank, children of homeowners perform better in school, and homeowners themselves report higher levels of self-esteem and overall happiness. If we close the door, future generations won’t have the same opportunities we do today to realize the benefits of homeownership. We’re living in a cynical time. Americans are cynical about the economy, about the role of government and about their children’s prospects for the future. The one thing that Americans aren’t cynical about is the promise of the American Dream and of homeownership’s role in that dream. In fact, according to a recent survey by the National Association of Realtors, nearly eight out of 10 Americans believe that buying a house makes good financial sense, and more than half (53 percent) of current renters said that owning a home is a priority in their future. We should do all we can to preserve and protect home ownership and the American Dream for today’s homeowners as well as future generations.